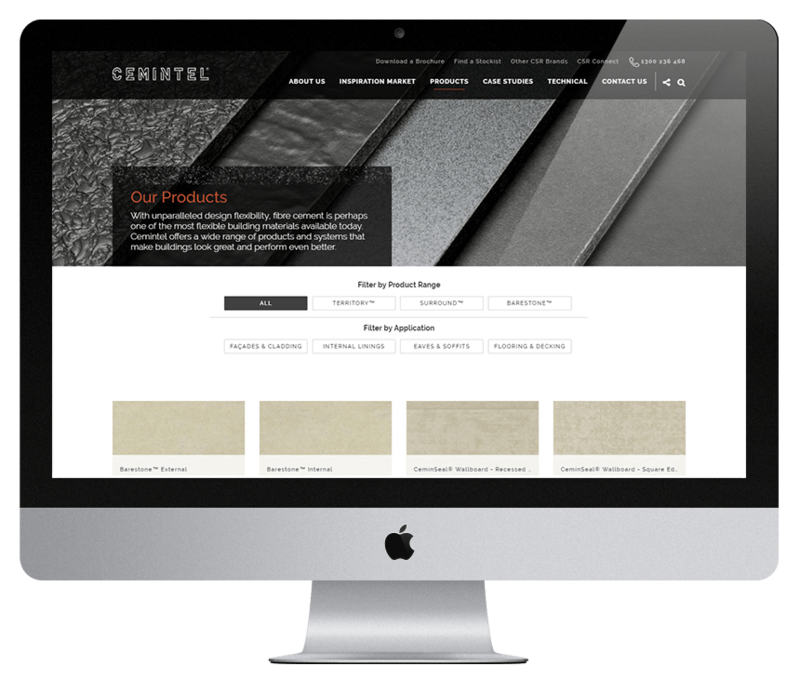 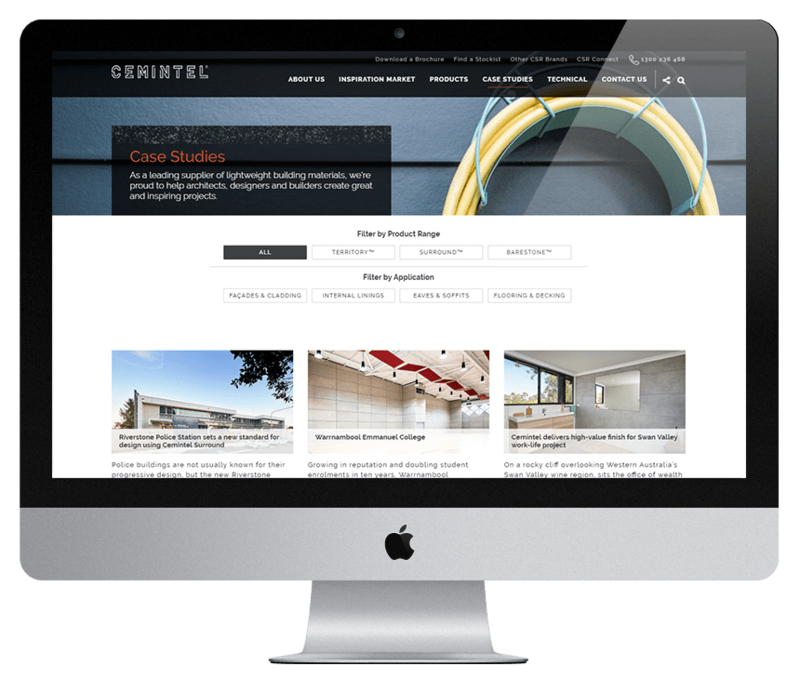 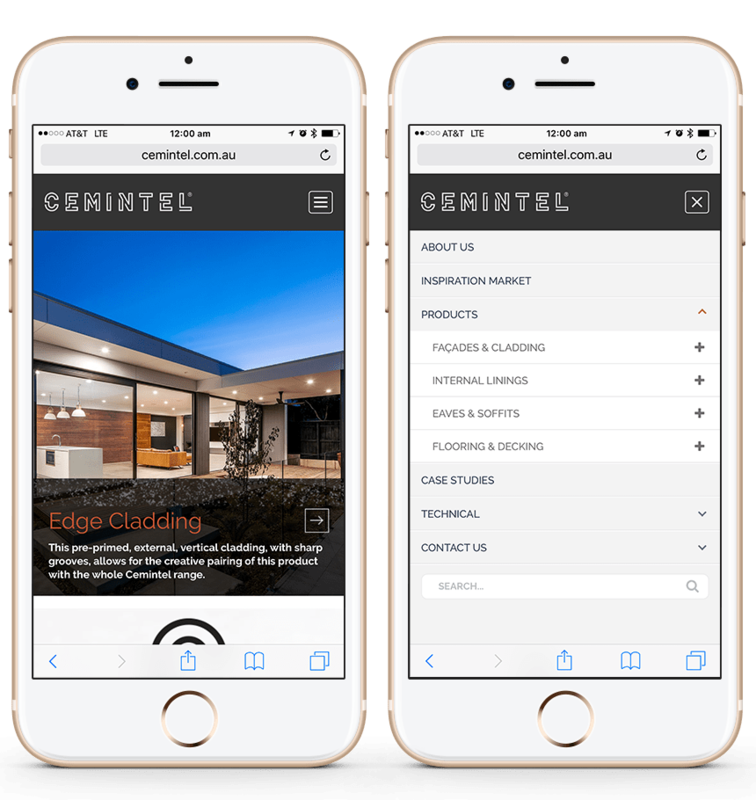 Our partners at Carbon5 were tasked with the job of refreshing the Cemintel brand, and as part of that process they designed a stunning site to feature Cemintel’s range of prefinished panel solutions and traditional internal lining products. 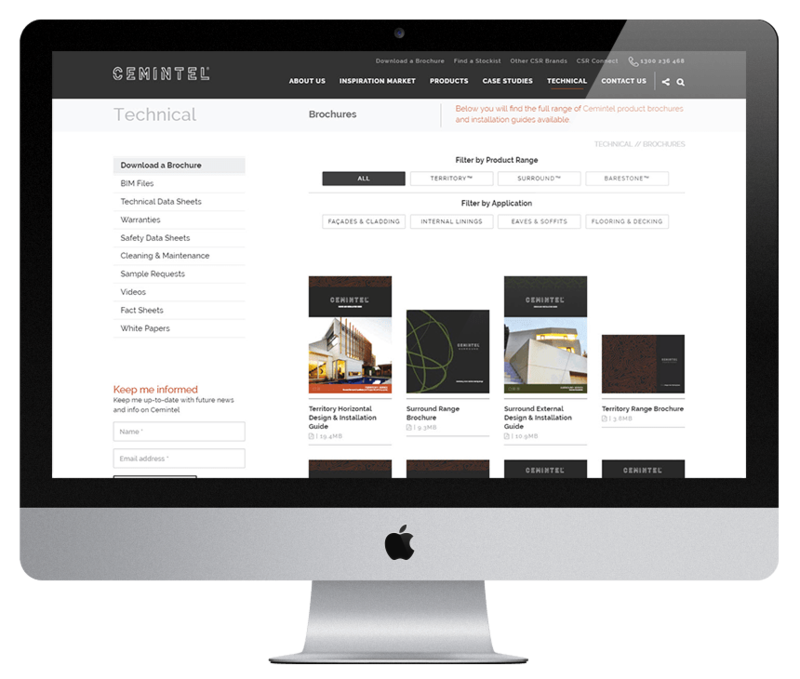 The Cemintel site has a range of features that help the user to explore and learn about the available ranges. 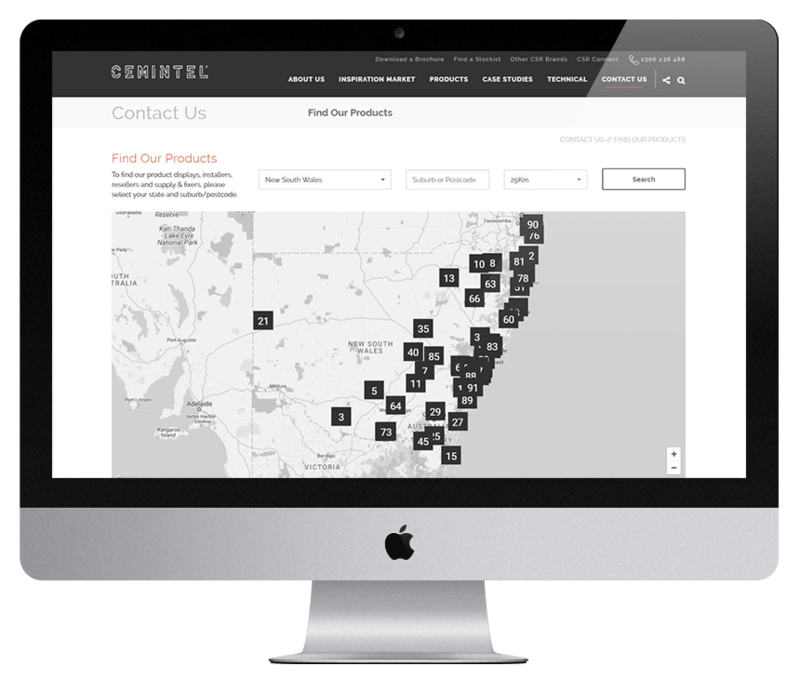 From a complicated set of product data, we were able to set up a system that allows products from the same range to share information and then export the data into a downloadable PDF. 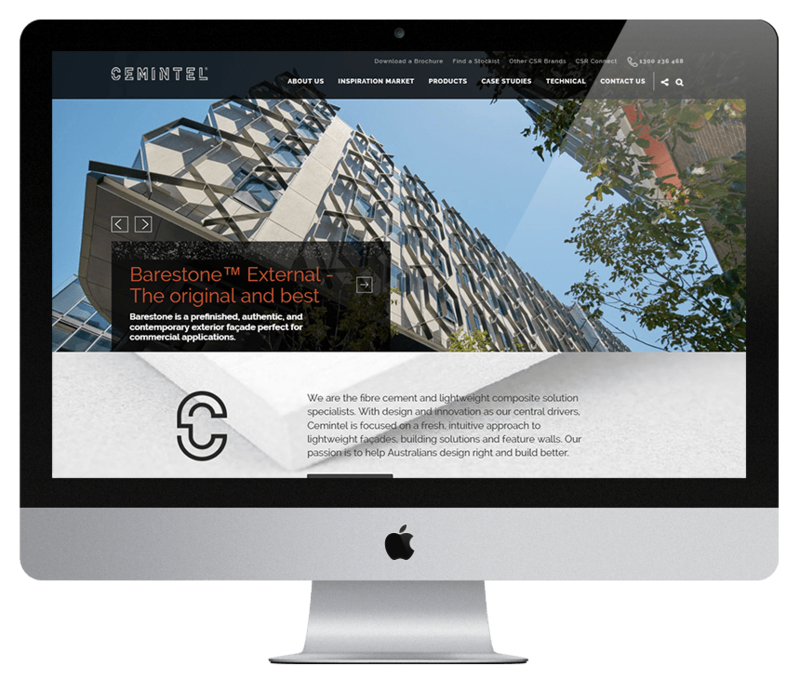 This not only helped to cut down on admin content management, but also reduced data redundancy to improve site load speed. 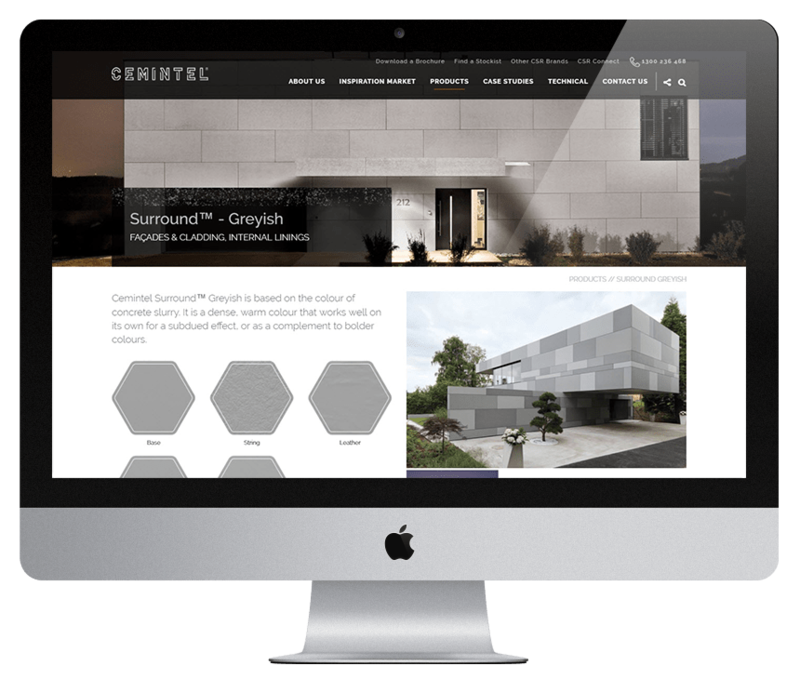 The site also features videos, case studies and inspiration articles that link to relevant products and textures to help get the users creative juices flowing. 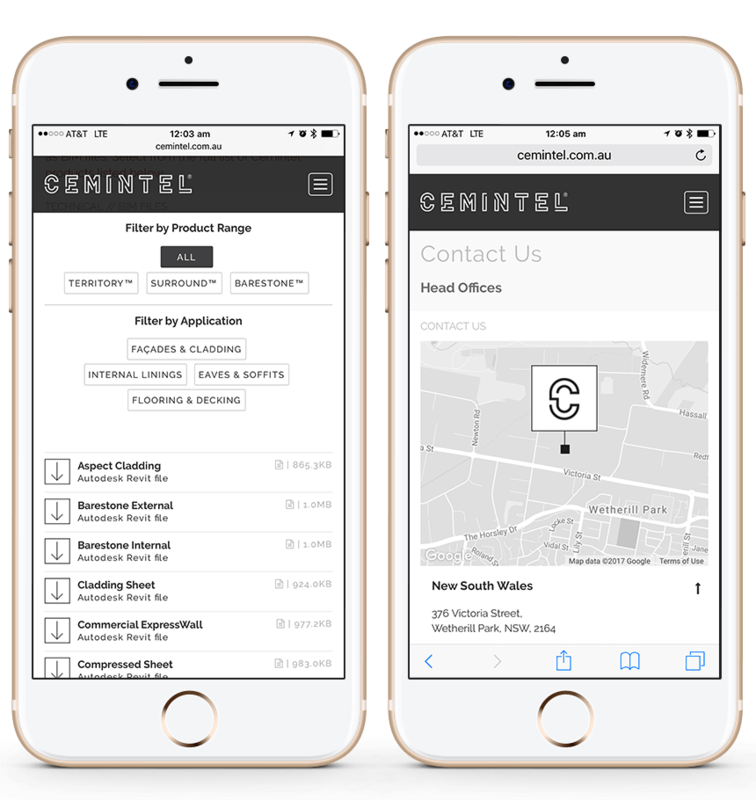 Other features that we built into the site include; a stockist locator, sample request system, and a contact form that sends emails to certain recipients determined by location.